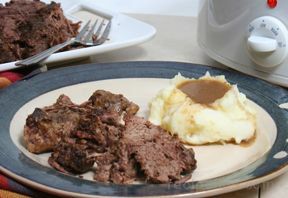 This foolproof slow cooker beef short ribs recipe is an easy way to enjoy barbecued ribs with minimal effort. Slow cooking makes the beef ribs moist, tender, and delicious. Place the short ribs into slow cooker and top with the chopped onions. In a small bowl, combine the remaining ingredients. Pour this mixture into the slow cooker. 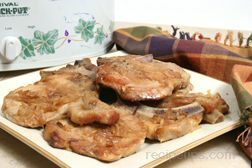 Cover the slow cooker and cook the ribs on the low heat setting for 6 to 8 hours or on high hear for 3 to 4 hours. 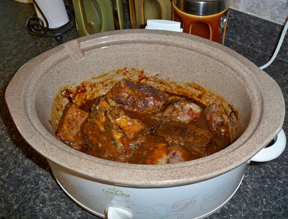 Remove the ribs from slow cooker and cover to keep warm while finishing the sauce. Skim the excess fat from the surface of the sauce; then return the ribs to the sauce. Stir gently until evenly coated and heat for a few more minutes prior to serving. "Good recipe. The short ribs didn't look the most appealing when they were done because all the meat fell off the bones in pieces but it was tender and great tasting. 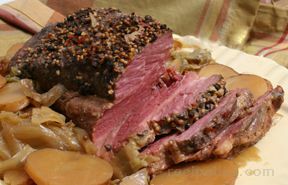 I would prepare short ribs again using this recipe."